The diverse selection of Labuan IBFC’s financial products and services brings to investors a wealth of business opportunities, covering the areas of banking, insurance, trust company business, capital market, wealth management and other Labuan financial businesses. As much as half of the world’s capital is estimated to flow through international business and financial centres, making banking the most important activity in these centres. Labuan IBFC offers a wholesale platform for banks and financial intermediaries looking to establish their operations and take advantage of the numerous associated opportunities in the region. Labuan IBFC is also bound by an effective regulatory regime that subscribes to internationally-recognised standards and best practices in financial services and prudential regulation. Labuan banks and investment banks operating out of Labuan IBFC provide a host of services, conventional as well as Islamic to cater to the growing demand from investors both domestic and international. Labuan IBFC’s insurance industry is a thriving one, as evidenced by its vibrant growth in the past few years. Comprising not just reinsurers and direct insurers, Labuan IBFC also provides unique underwriting vehicles in the form of captives. This is an increasingly popular risk solution sought by many corporates that prefer to have the flexibility of managing their own perils as part of their own risk management. Aside from conventional (re)insurance services, Labuan IBFC also offers Islamic (re)insurance, better known as (re)takaful, for those seeking Shariah-compliant protection. Insurance brokers, underwriting managers as well as insurance managers complete the supply chain by offering the needed services within the sector. The industry is set on a positive trajectory and will continue to expand to provide the needed reinsurance capacity and insurance products in order to meet sophisticated clientele needs and expectations. Business flexibilities in tandem with an orderly set of regulations provide a stable business environment for prospective investors and clients alike. The leasing industry in Labuan IBFC has recorded tremendous growth in recent years. In tandem with the region’s economic growth, demand for capital equipment, especially in the shipping, aviation, and oil and gas industries, have shown no signs of abating. Its innovative leasing structures and close proximity to emerging economies such as China and India attract both local and foreign corporations, opening up a variety of investment opportunities in the region. Leasing companies in Labuan IBFC enjoy an ideal balance of fiscal neutrality and certainty. The ease through which leasing transactions can be structured in the jurisdiction, along with an efficient tax framework, have also allowed for effective management of their operational cost. A normal leasing transaction includes earning rental income for the lessor, and the lessee benefiting from the leased asset, for example in providing short-term capital and facilitating business operations. 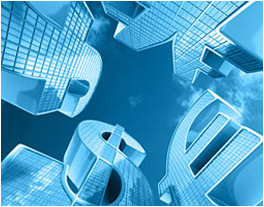 Money broking business is defined as the business of arranging transactions between a buyer and a seller in the money markets, with a broker acting as an intermediary for consideration of brokerage fees paid. However, this does not include the buying or selling of foreign currencies by the said broker as principal in such markets. As part of the strategy to encourage oil and gas trading companies to expand into Malaysia, Labuan IBFC introduced the Global Incentives for Trading (GIFT) programme in 2011. The GIFT programme is a framework of incentives designed to attract traders of specified commodities to use Malaysia as their international or regional trading base. Under the GIFT programme, a Labuan International Commodity Trading Company (LITC) can be set up to facilitate the trading of physical and related derivative instruments in any currency other than the Malaysian Ringgit in the following commodities: petroleum and petroleum-related products (including liquefied natural gas (LNG)), agriculture products, refined raw materials, chemicals, base minerals, carbon credits and any other commodities as may be approved by Labuan FSA. The programme’s ultimate aim is to position Malaysia as a regional trading and storage hub for oil and gas. A credit token business is defined as any business where a token, being a cheque, card, voucher, stamp, booklet, coupon, form or other document or thing is given or issued to a person (referred to as "customer") by the person carrying on the business (referred to as "issuer"). Treasury processing activities comprising back and middle office processing functions which include processing and confirming deals, preparing accounting records and reports, maintaining registers and files and custodial services. Islamic advisory services and processing functions which include launching, administering, and backroom processing of collective investment schemes; consultancy, advisory and support services; and developing Islamic trusts. Labuan IBFC is committed to developing its capital market in line with internationally-recognised standards and best practices. To foster investors’ confidence, Labuan IBFC subscribes to the International Organisation of Securities Commissions’ (IOSCO) core principles of securities regulation. In addition, Labuan IBFC’s legal and regulatory framework provides a sound business environment with adequate protection and stability for the industry. The capital market industry in Labuan IBFC is further boosted by the presence of the Labuan International Financial Exchange (LFX), which was established as a cost-effective and practical alternative to existing exchanges in the region. Wholly owned by Bursa Malaysia, LFX plays a complementary role with respect to its parent company, in attracting international investors to the country. Investors may establish mutual funds or issue securities out of Labuan IBFC as a platform to raise funding in the international market. The jurisdiction also offers fund management licence for entities that are interested to provide management, administrative and advisory services for the purposes of investment related activities. In addition, securities licences are also available for companies that would like to deal in securities and provide securities advice and administration services for investment purposes. Labuan IBFC is now at the forefront of international wealth planning, providing investors the flexibility to choose the ideal wealth creation and wealth preservation structure, either conventional or Islamic, that best suits their needs. This is in line with the interest in wealth management solutions which has grown in tandem with Asia’s growing economy. High-net-worth individuals and the affluent population will find a comprehensive stable of private wealth management vehicles on offer in Labuan IBFC, such as trusts and foundations. These can be structured for a wide array of wealth management needs and are especially suitable for family offices and wealth managers in facilitating dynamic wealth transfer, dynastic planning and inheritance management. In wealth asset planning, consideration has to be given to the laws of the trust / foundation jurisdiction together with other jurisdictions on the location of the settlors, founders, beneficiaries and endowed properties. Ease of doing business - cost efficient and easy procedures in setting up entities, with the assistance professional intermediaries and authorities.